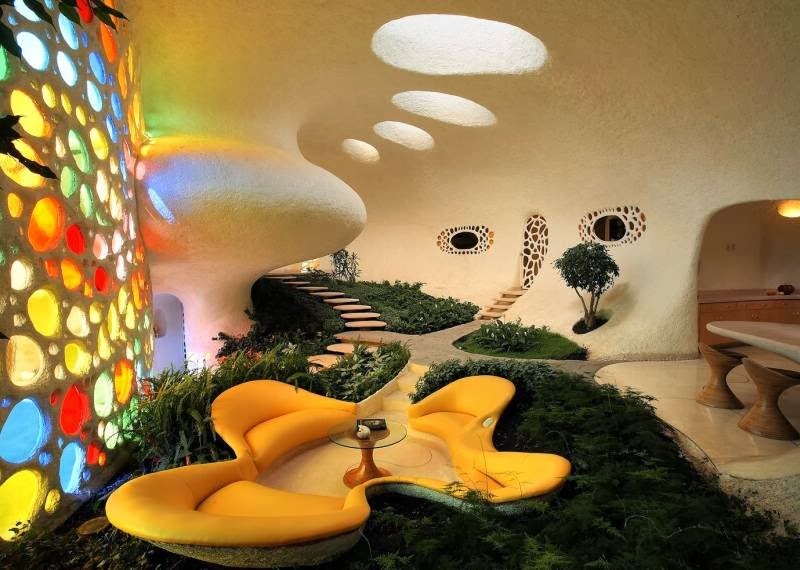 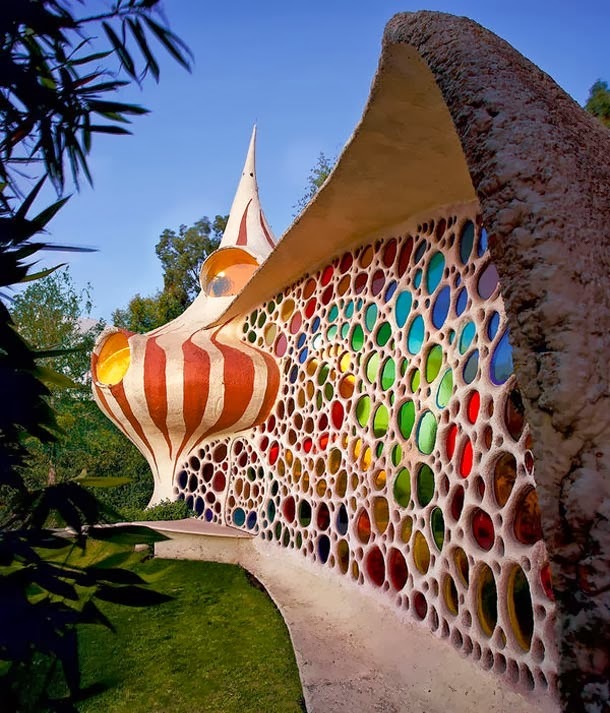 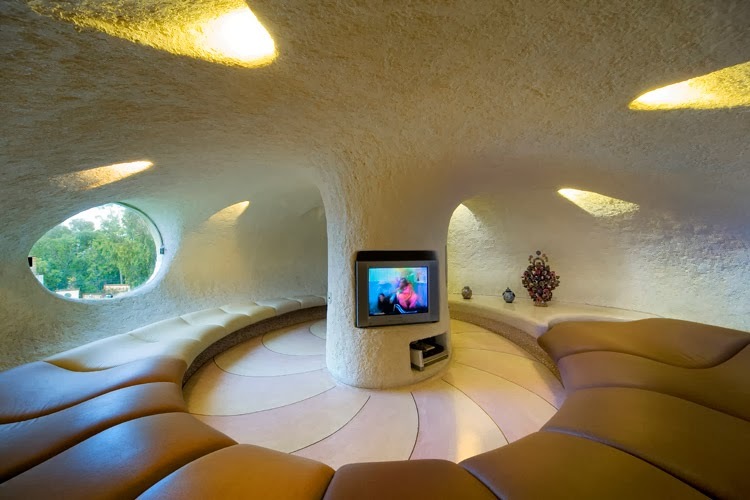 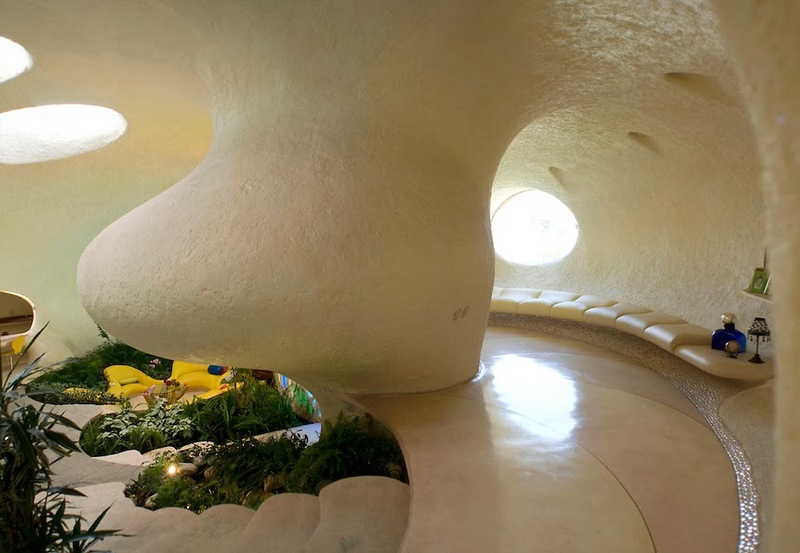 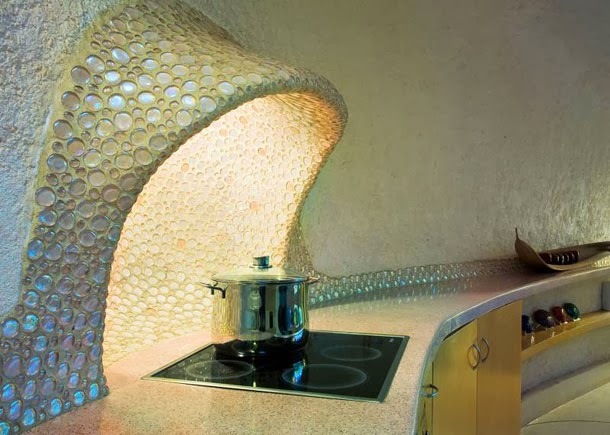 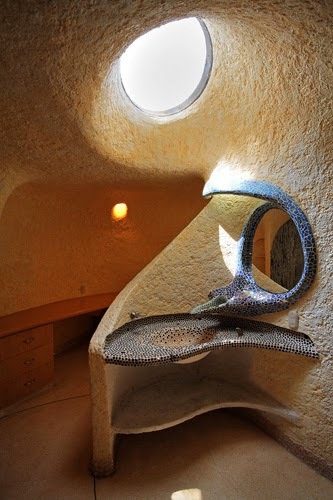 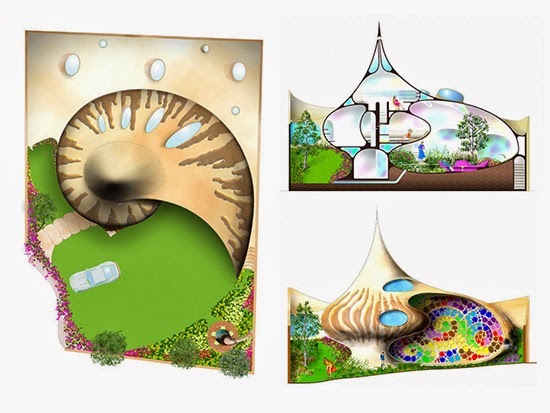 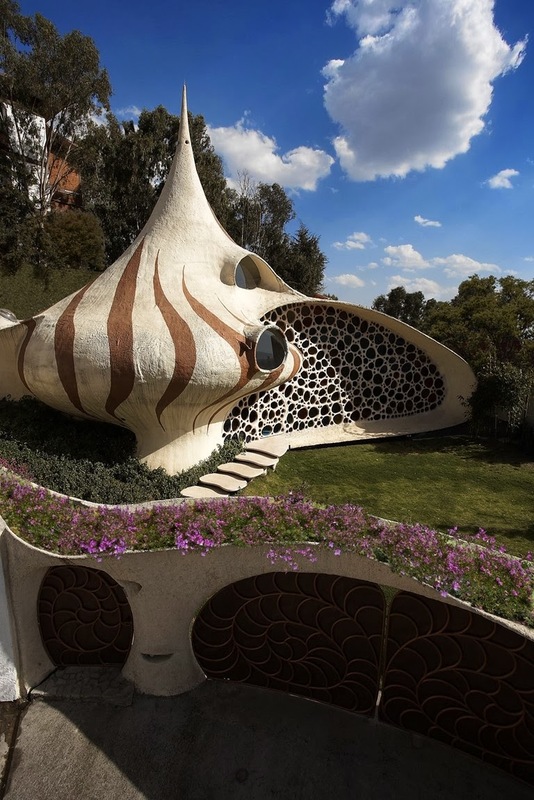 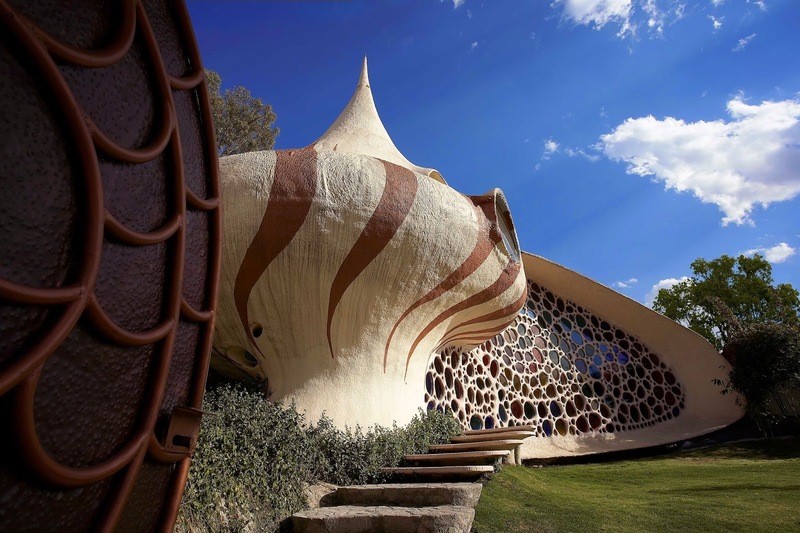 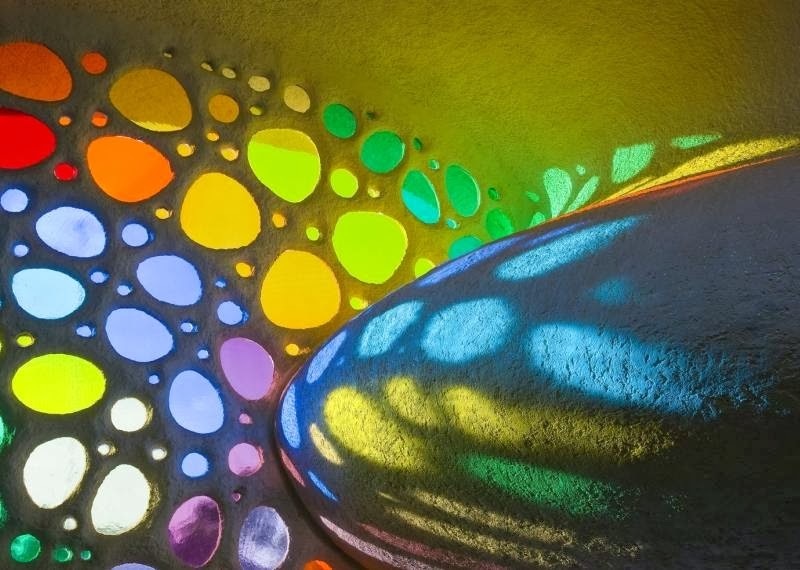 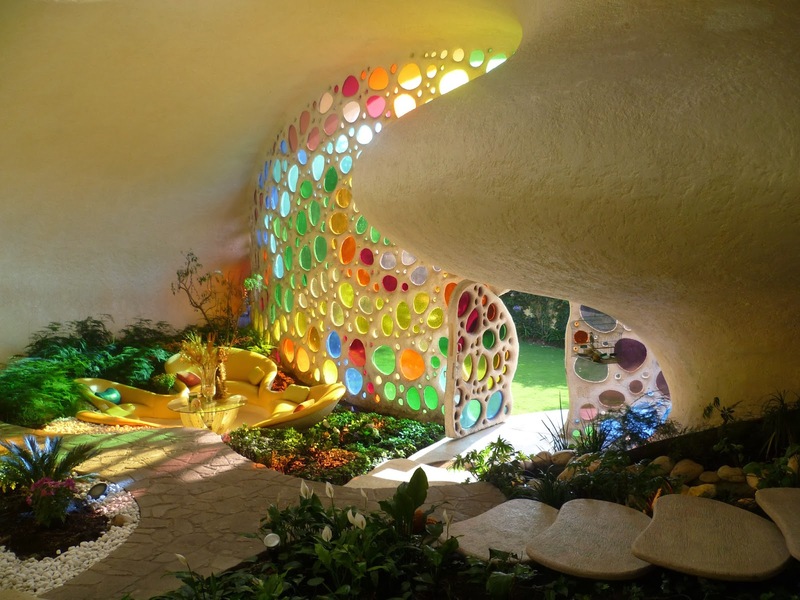 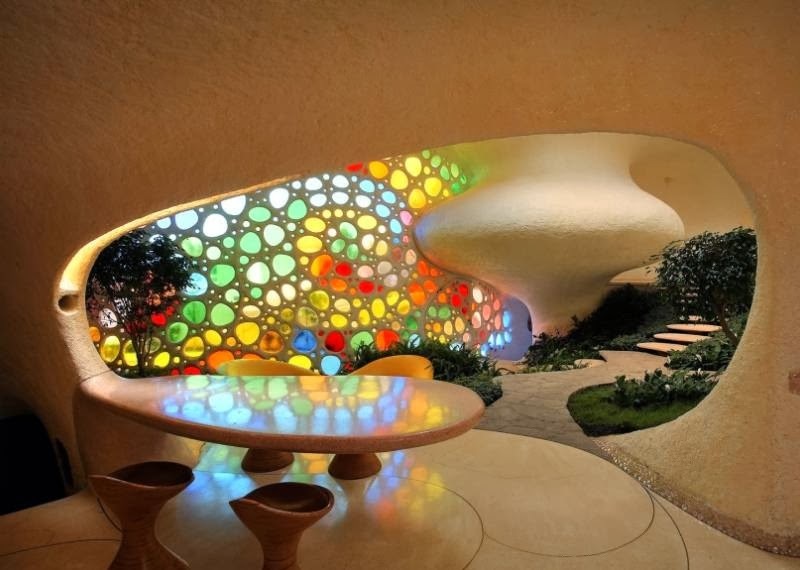 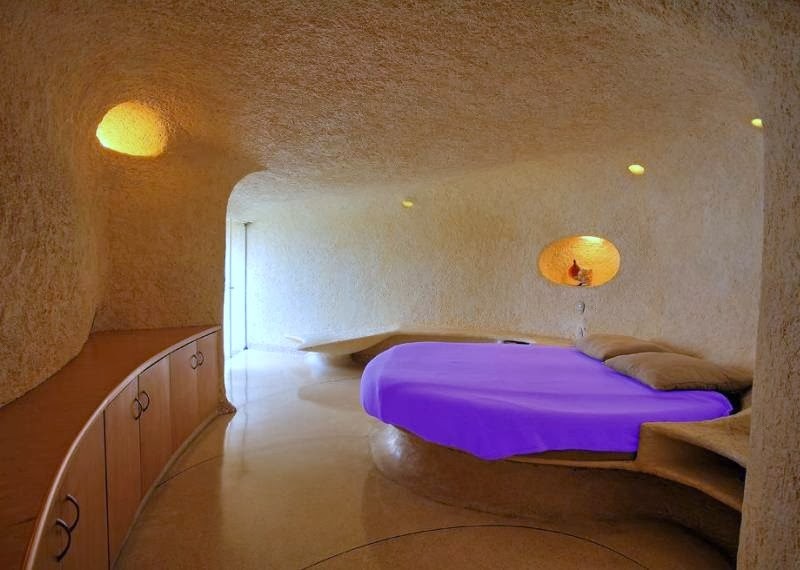 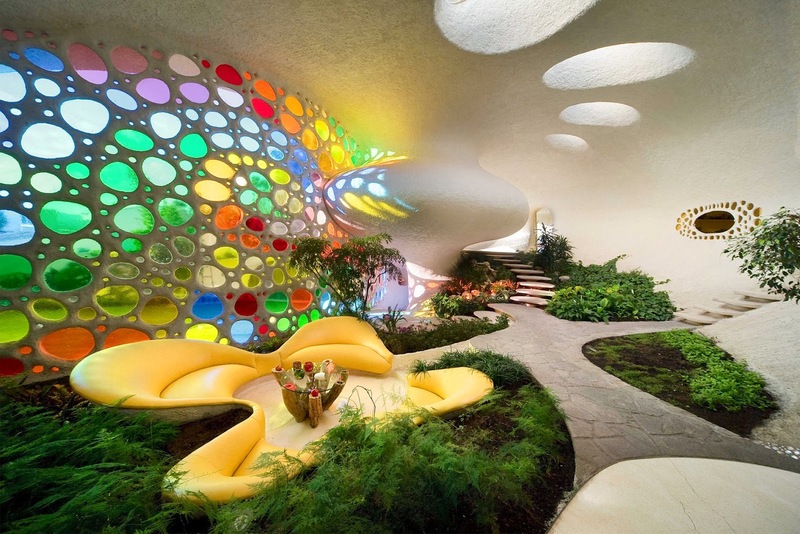 The Nautilus house located near Mexico City is a unique shell shaped house designed by Mexican architect Javier Senosiain of Arquitectura Organica. 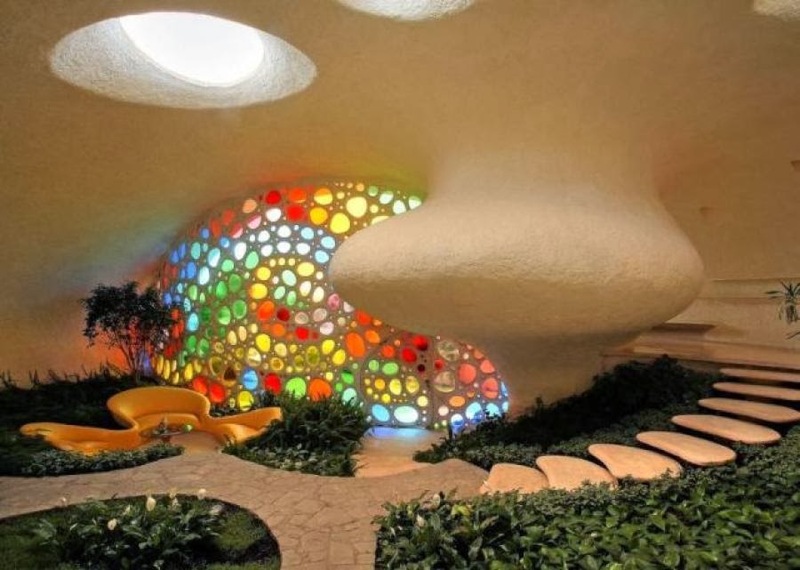 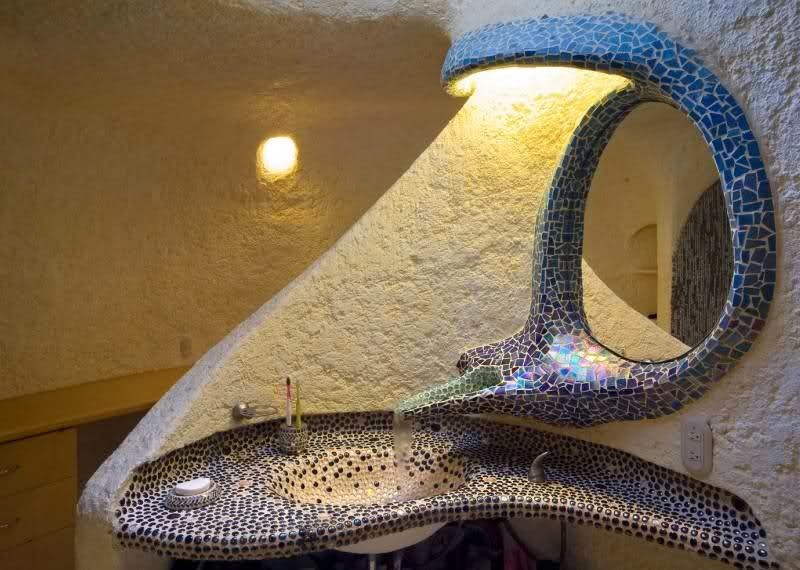 The house design is very innovative, unusual and audacious. 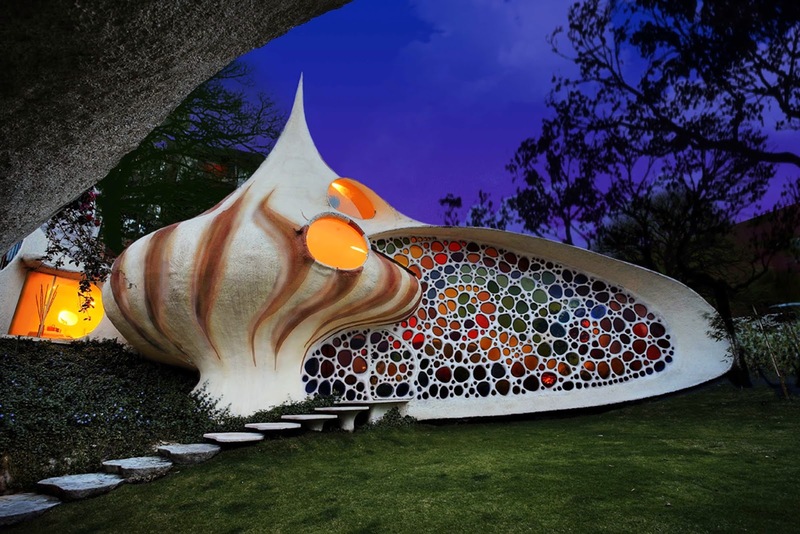 Javier Senosiain decided to bring the life aquatic into architecture. 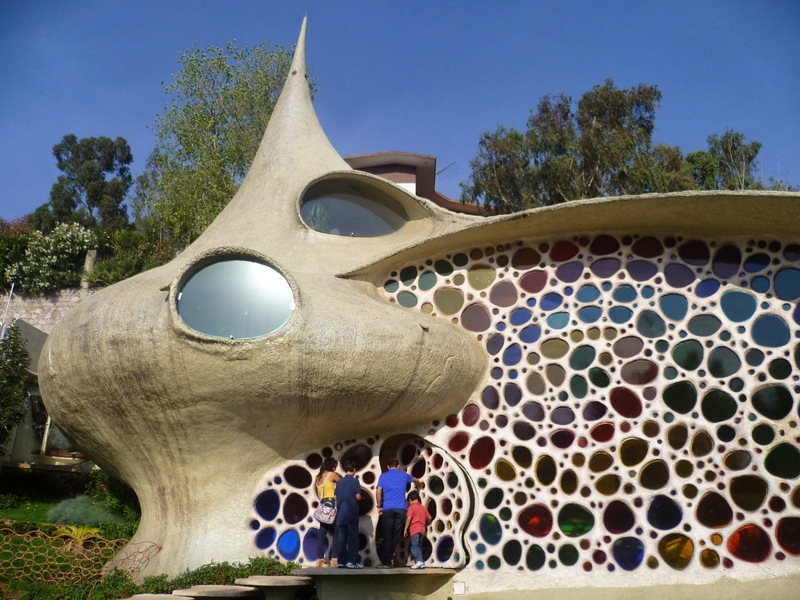 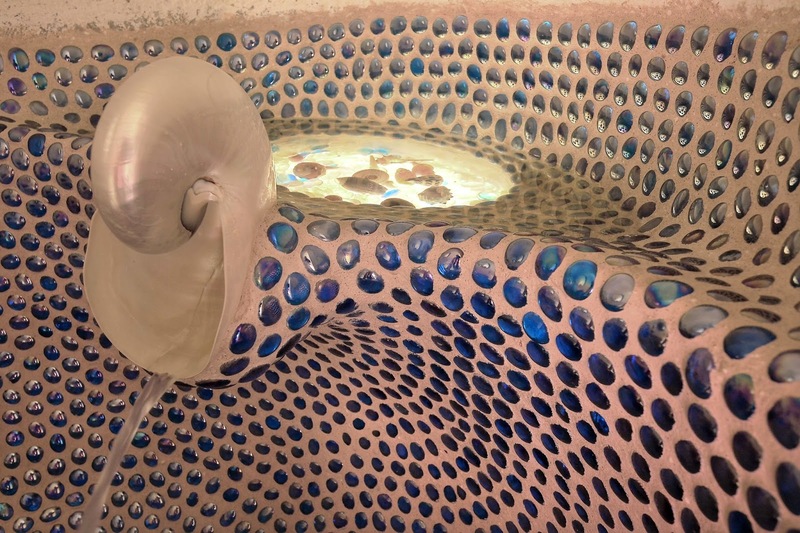 Inspired by the work of Gaudí and Frank Lloyd Wright, Javier Senosiain has brought to Mexico City another sparkling example of what he calls “Bio-Architecture” — the idea that buildings based on the natural principles of organic forms bring us back to local history, tradition and cultural roots, in turn creating harmony with nature. 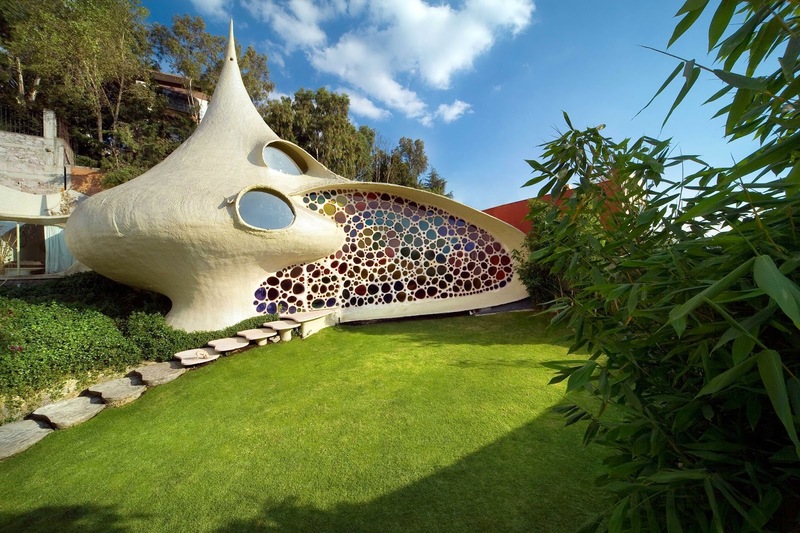 A young family with two children from Mexico City were tired living in a conventional home and wanted to change to one integrated to nature.